Have you found yourself feeling stressed overwhelmed with the grind of everyday life? Everyone needs some time to recenter themselves and focus on what makes them feel happy and healthy. Come immerse yourself in The Art of Life® at Zoëtry Wellness & Spa Resorts! Experience unrivaled luxury and holistic wellness for a vacation that exceeds every one of your expectations. 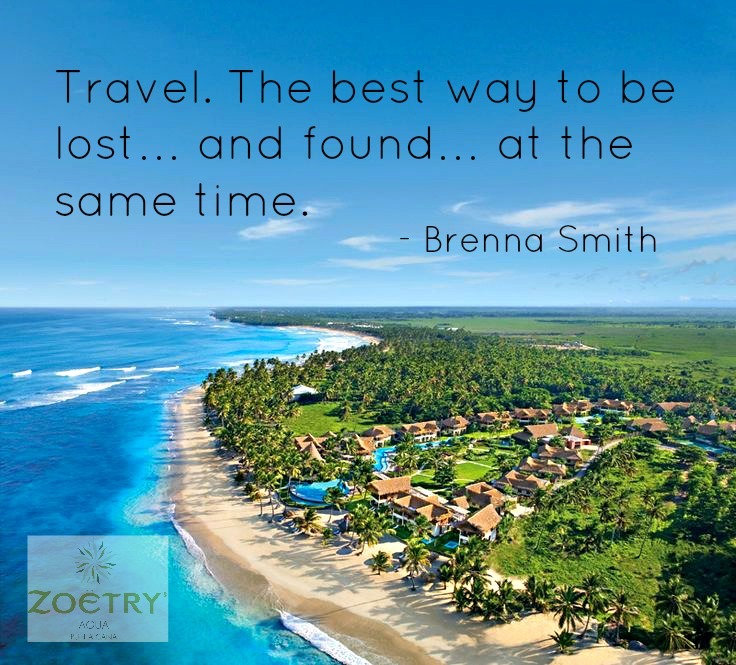 This entry was posted in Zoëtry Agua Punta Cana, Zoëtry Casa del Mar, Zoëtry Paraiso de la Bonita, Zoëtry Wellness & Spa Resorts and tagged escape, health, luxury, travel, Travel quote tuesday, Vacation, Wellness, Zoëtry Agua Punta Cana, zoetry resorts. Bookmark the permalink. ← USA Today names Zoëtry Paraiso as one of the top 10 all-inclusive resorts!